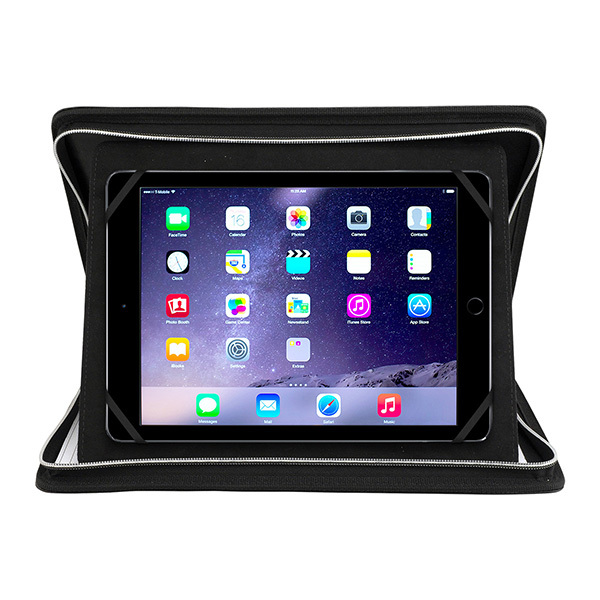 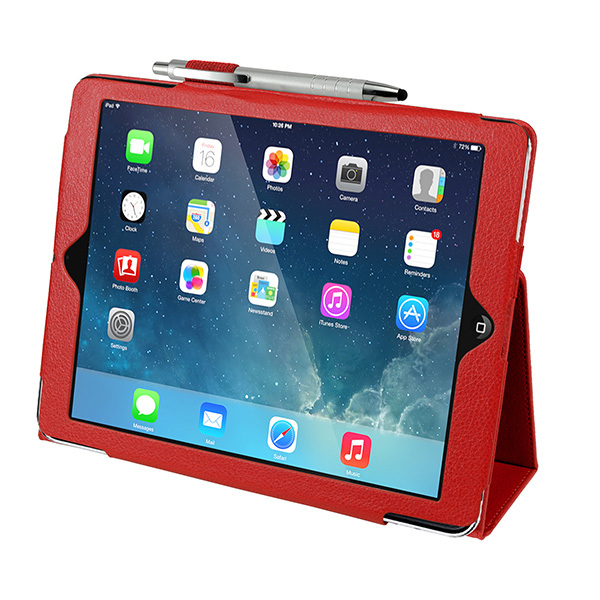 An ideal organizational tool for students and professionals alike, this folio-style case for iPad Air is bound to make a lasting impression. 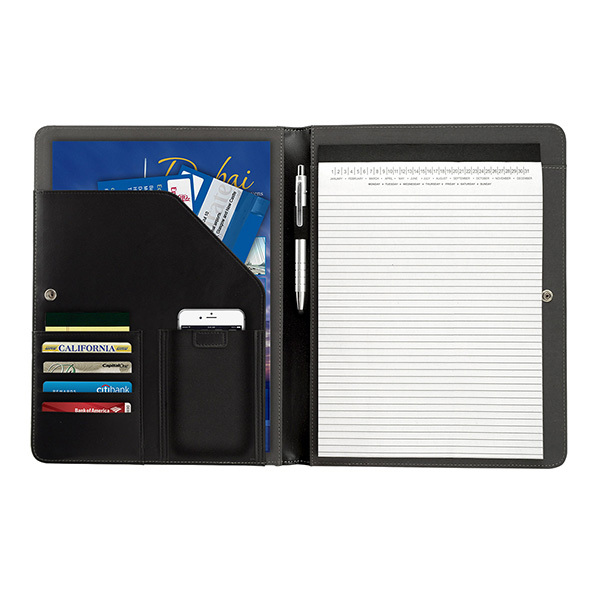 This handy item measures 10 1/2" x 12 1/2" x 5/8", is made from Nappa leatherette material and holds most tablet sizes and brands. 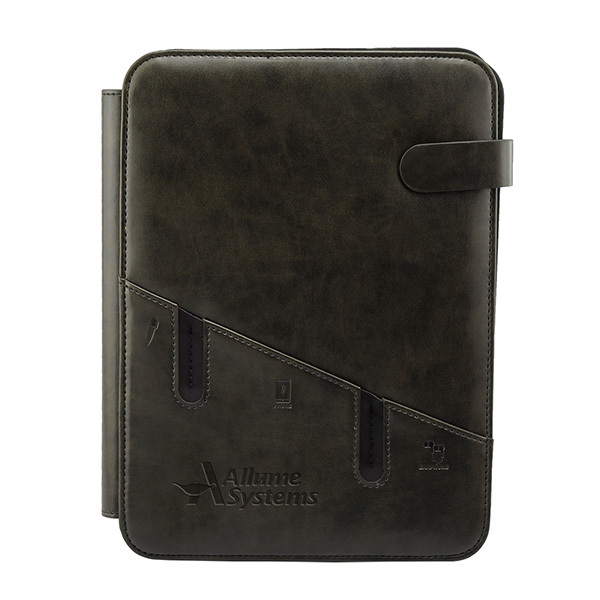 It features a special clear window that allows you to operate the tablet while it is safety protected inside the sleeve, and it also has an organizer for your files, a pen loop, a metal-snap easel function and a 30-page writing pad. 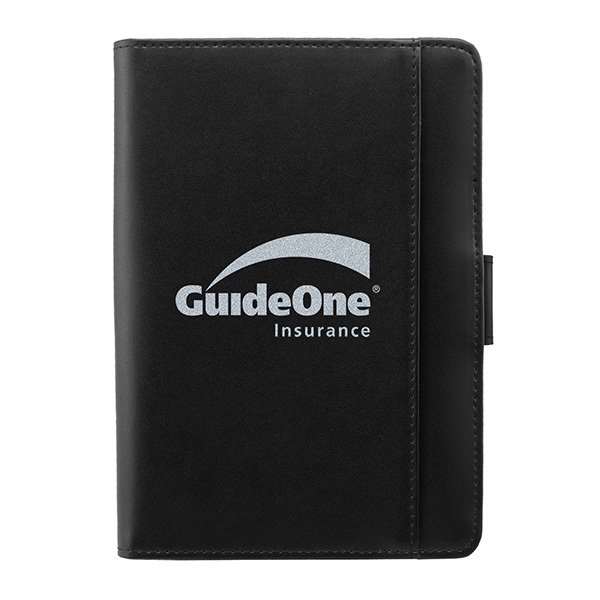 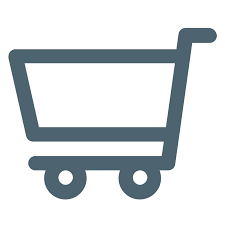 Customize with an imprint of your brand logo to cover you bases during the next promotional campaign. 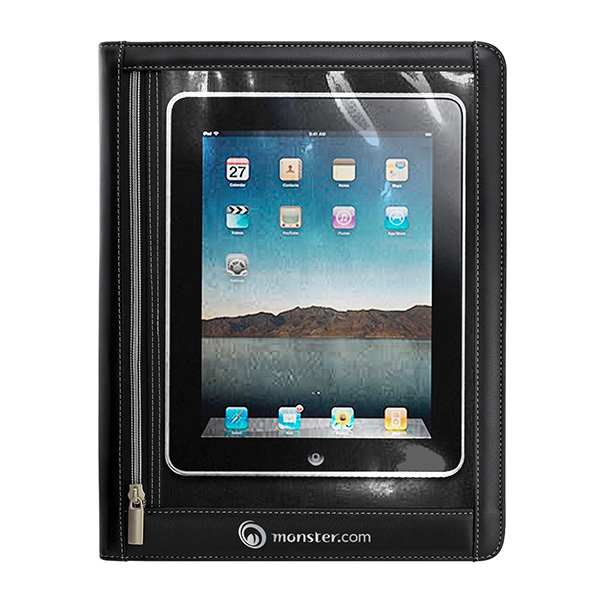 Item Size 10 1/2" x 12 1/2" x 5/8"
Case Dimensions 14.5" x 20" x 11.25"